Last week, we celebrated World Green Building Week* with an action-packed programme across 3 Irish cities – Dublin, Galway and Limerick. We were delighted to welcome almost 300 building and construction professionals and to highlight the need for healthier and greener homes. Here are some highlights of the week. 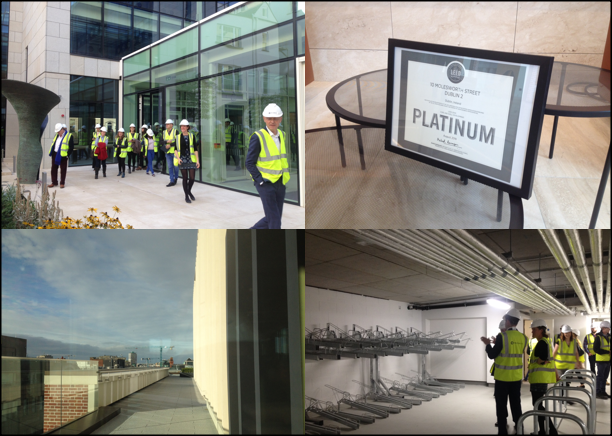 As for the last 6 years, IGBC organised tours of some of Ireland’s newest and greenest office building: 1 Windmill Lane, 1 Sir John Rogerson’s Quay, 10 Molesworth Street and the iconic Miesian Plaza. 1 Windwill Lane (1WML) is a LEED Gold certified building located in the newly developed SOBO district. It is a mixed-use development that includes a cafe, co-working spaces, greenery, a gym and 14 apartments – Ireland’s only certified LEED apartments. 1 Sir John Rogerson’s Quay (1SJRQ) is also located in the SOBO district and it is targeting LEED Platinum. The tour gave an insight into the climate adaptation measures implemented at this riverfront site. 1WML and 1SJRQ tours were led by developer Hibernia REIT and LEED consultants Meehan Green. 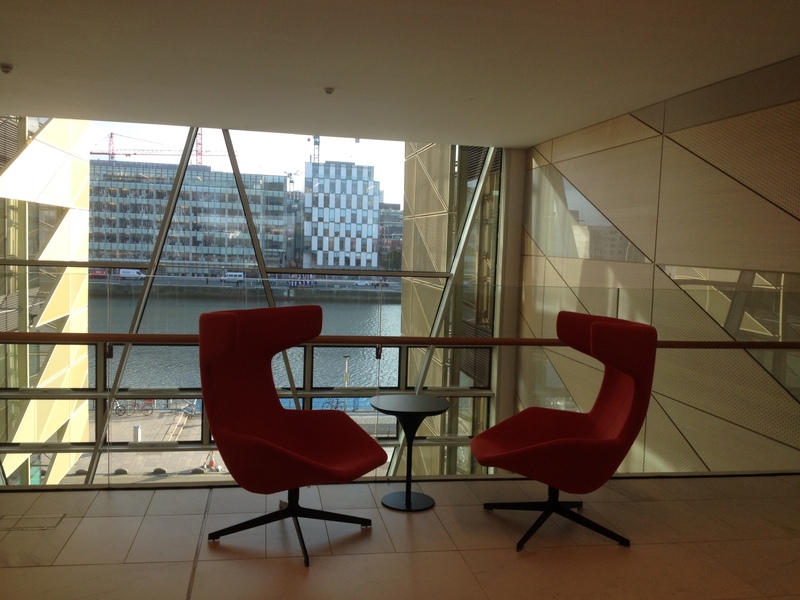 10 Molesworth Street Henry J Lyonswas designed by and has achieved the exacting LEED v.3 platinum standard. 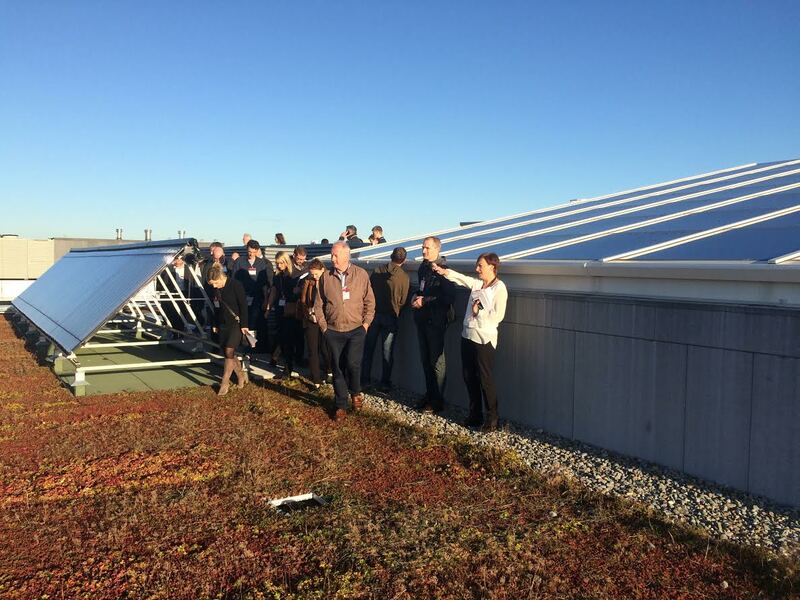 The tour covered features such as rain water harvesting and how the project team achieved exemplary performance for locally sourced materials – within 500 miles from the project site. 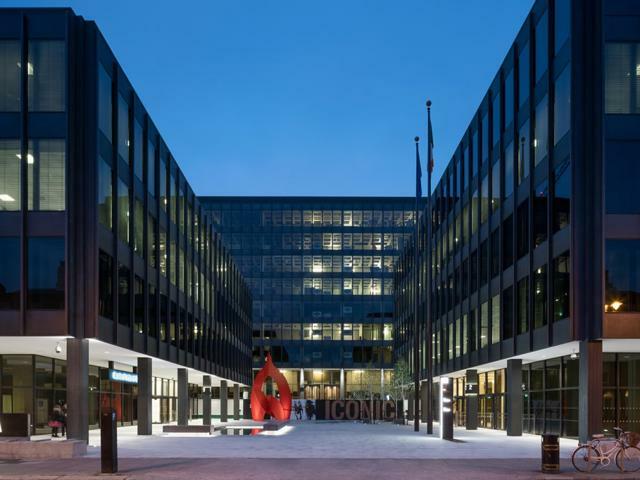 The Miesian Plaza has recently undergone a major refurbishment to restore it to its original glory and to include all the requirements of a modern office space. The building is targeting LEED platinum and WELL silver certifications with consulting engineers JAE Engineering . The design team incorporated a number of high-efficiency energy saving features, including: high efficiency lighting fixtures; a high performance envelope upgrade; high efficiency chillers and boilers; CHP; and ice thermal storage. The tour was led by architects Scott Tallon Walker and consultants engineering ARUP. On Tuesday, 25th September, the IGBC was in Galway for a “Sustainable Housing” event organised in conjunction with the Loving Galway Sustainability Festival. Topics discussed on the night included nZEB, sustainable housing developments in Galway, the Home Performance Index and Passive House standard. A huge thanks to our speakers on the night: Caroline Phelan of Galway City Council, Jamie Goggins of NUIG and Emmett Nee of Long Life Structures. 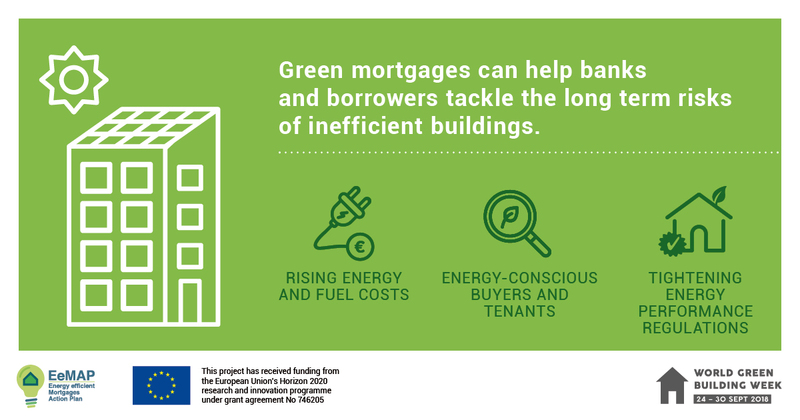 The IGBC as an established member of the World Green Building Council launched a new report setting out a vision for how mortgage lenders and borrowers can come together to help tackle climate change by improving millions of properties in Ireland and Europe. The report calls on lenders, industry and government to grow a new mass market for energy efficient mortgages and make them available to every borrower on the continent. Read more. Three of our members organised events to raise awareness about greener and healthier houses and cities. 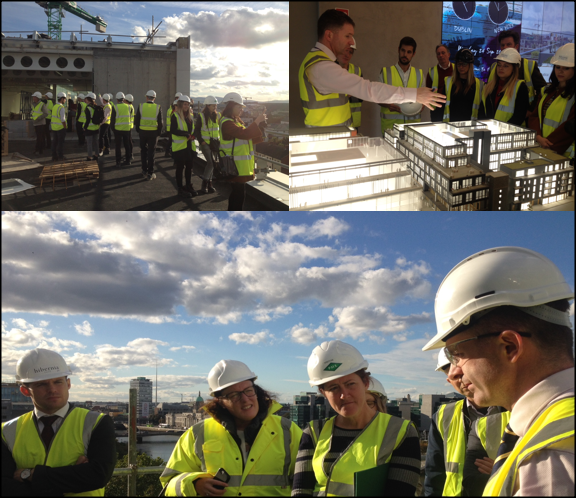 Cundall held a well attended event focusing on challenges and opportunities presented by climate change for Dublin. The event looked at liveable cities and climate adaptation. Saint-Gobain organised a “Getting Practical about Sustainable Housing” event in Limerick. IGBC CEO Pat Barry gave a presentation on the Home Performance Index and embodied carbon. Other speakers on the day included Jason Horrex of Saint-Gobain, Lis O’Brien of LIT and Tipperary Energy Agency. Finally, DIT organised a lunchtime lecture on nZEB and the Home Performance Index. Our social media campaign reached almost 100,000 people. A huge thanks to all our members and individuals who adapted and posed with our Home Green Home sign. Here are some of their #Homegreenhome promises. Thanks to everyone who took part in this year’s World Green Building Week for making it a huge success! 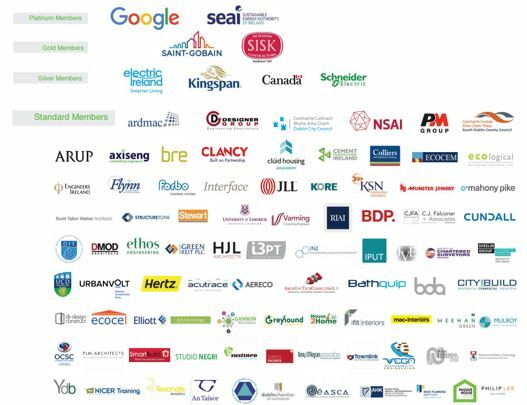 In particular, the IGBC would like to thank all its members that contributed to the success of that week: Arup, Cundall, DIT, Hibernia REIT, IPUT, Kore, Long Life Structures, Meehan Green, O’Connor Sutton Cronin, PM Group, Saint-Gobain, Scott Tallon Walker, Sisk and Structure Tone. *World Green Building Week is a global annual event aiming at fostering awareness about the role buildings play in creating a more sustainable future. The theme this year was #Homegreenhome.